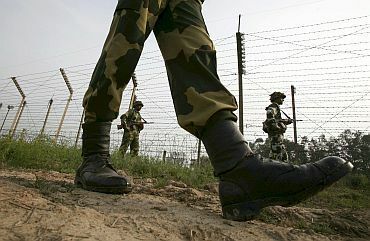 Around 25 infiltration attempts have been made by terrorists from across the Line of Control in the last two months and 35-40 terrorists have been killed by the security forces during the same period, Army chief General V K Singh said on Monday. He said the number of infiltration attempts have gone up in the last two months but the Army has been able to control it to a large extent. "In the last two months, we have had approximately 20-25 attempts and the total number of terrorists killed during this period has been about 35-40," Gen Singh told media persons on the sidelines of a function in New Delhi. 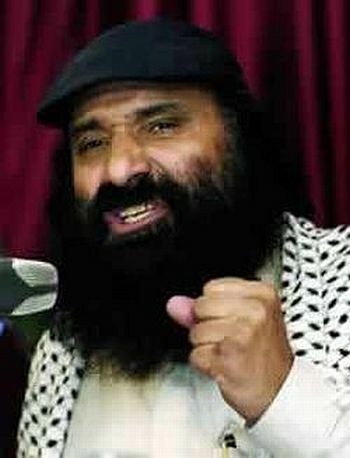 Asked about reports suggesting that Hizbul Mujahideen chief Syed Salahuddin has been visiting terror camps along the LoC with Pakistan Army and ISI officials, the Army chief said, "Salahuddin is on the other side. We are not worried with whom he goes around. If he tries to infiltrate, he would also be dealt in the same way his accomplices are." Gen Singh said that to counter infiltration, the Army had evolved a strategy under which even if somebody manages to infiltrate Indian territory, "he gets killed later on". "As far as infiltration is concerned, we have controlled it to a large extent. In the last two months, there have been many attempts to infiltrate and we have achieved a lot of success also in this regard," he added. 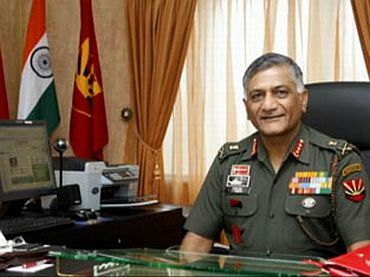 Asked about the attacks by Chinese hackers on Indian networks, Gen Singh said, "The whole world is worried about cyber security. Our other government websites have also been attacked and technology is such a field in which both defensive and offensive means are applied." "We are trying to take measures which can ensure that our networks are not in danger," he added.